NOTE: You will be asked to repeat Step 4 and 5 each time you plug in the FCP camera. Which Bellus3D Face Camera App version are you using? 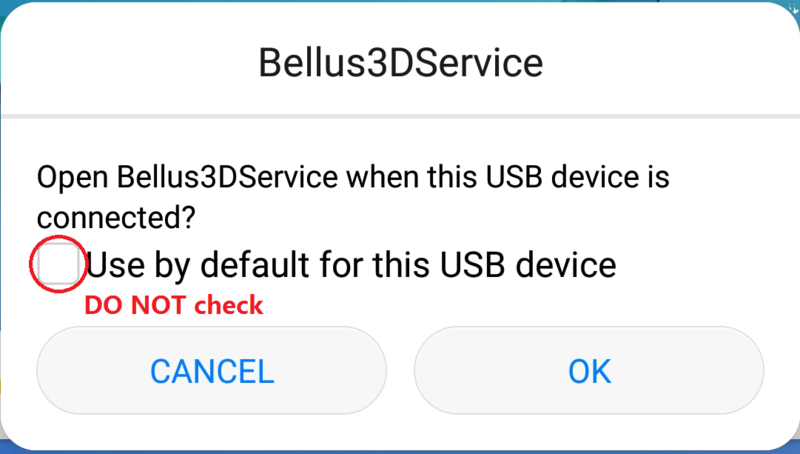 Which Bellus3D Service App are you using? Have you recently upgraded your Android tablet System? 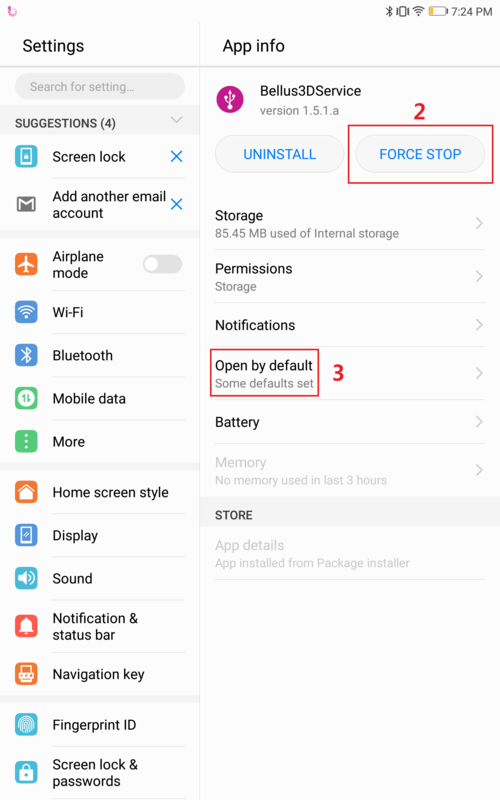 What is the System Settings -> About Tablet -> Build Number?